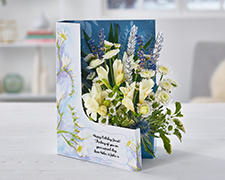 FLOWERS IN A CARD? 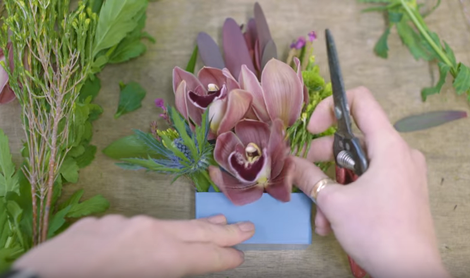 FIND OUT HOW WE DO IT! 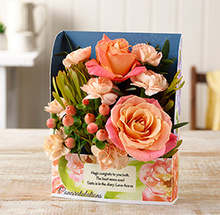 Hello, and welcome to Flowercard. 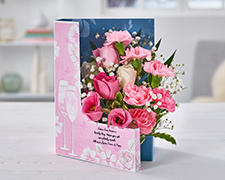 Since 2000 we’ve been designing and creating a range of beautiful and unique cards and gifts for every occasion from birthdays to anniversaries and everything in between. 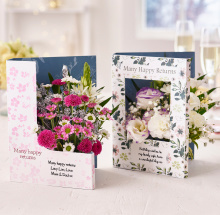 We’re proud to say that we work with British artists and florists to continuously develop our range of beautiful, high-quality, cards and gifts; all of which can be personalised with your own heartfelt message for a truly unique gift. 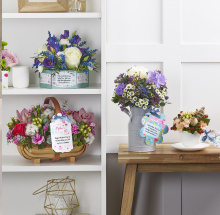 If you’re looking for a real showstopper then look no further than our Flowercards, Flowertins, Flowerposies, Flowerboxes, Gift Plants, Flowerbottles, Teacups, Letterbox Flowers, Bouquets, Trugs and Planters, and our new Premium Collection. 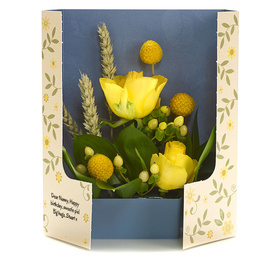 Each filled with a miniature arrangement of beautiful fresh flowers which have been perfectly styled by our professional florists. 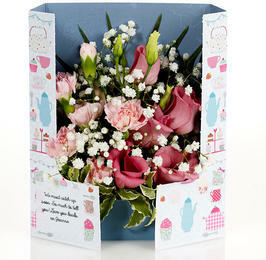 We also stock handmade chocolates from Sent with a Loving Kiss. 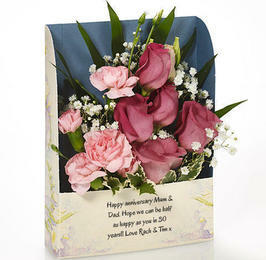 Presented in a personalised keepsake tin, this is the perfect present for family or friends with a sweet tooth. 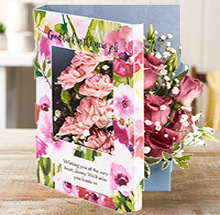 If you're looking for that perfect way to tell someone special that you're thinking about them, we think you'll love our stunning range of Flowercards. 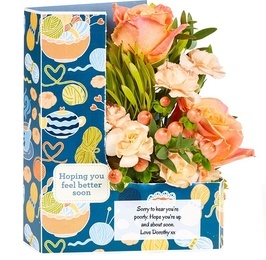 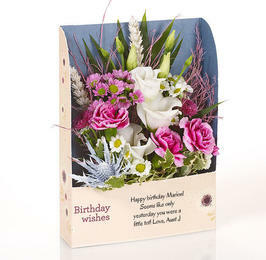 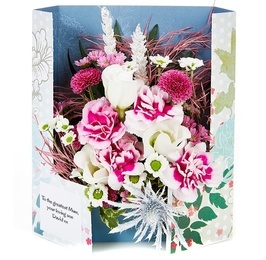 When you're not sure whether you're wanting to send flowers or a card, why not send both? 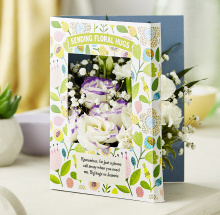 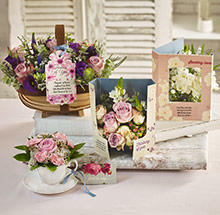 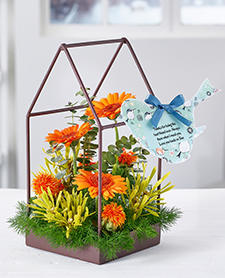 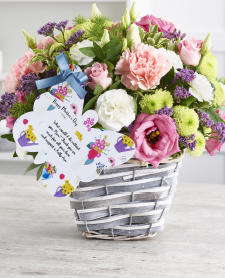 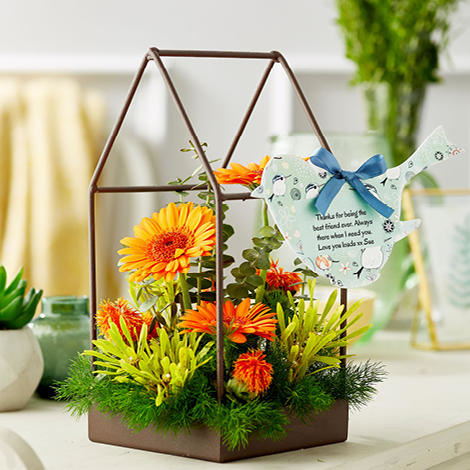 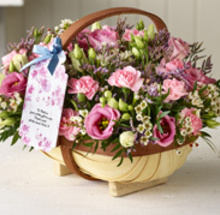 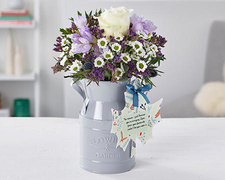 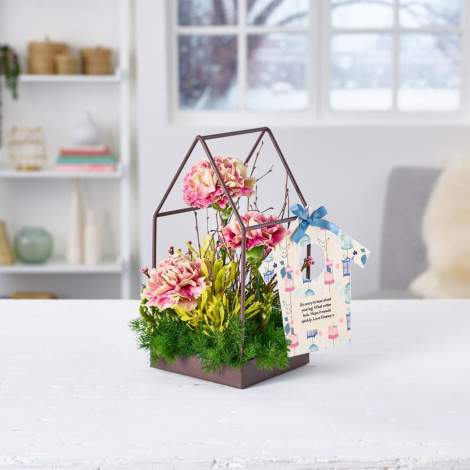 Our beautiful collection includes ranges from flowercards (fresh flowers inside a card) and flowerboxes to flowerbaskets, trugs, letterbox flowers and more. 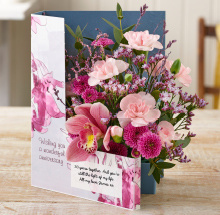 At Flowercard we've been delivering unique floral greeting cards for 15 years, for every occasion from birthdays and anniversaries and with over one million orders to date, that makes us one of the largest flower delivery specialists in the UK. 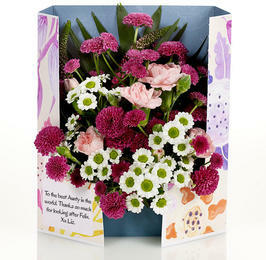 A flowercard is the perfect alternative to traditional fresh flower delivery. 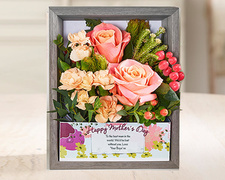 Order yours today and treat someone special to a gift they'll love!